Yesterday the prompt for "FatMumSlim" Photo a Day was "Where I'd rather be...." and it got me thinking about where I have been. So I thought I would share my feelings with you. 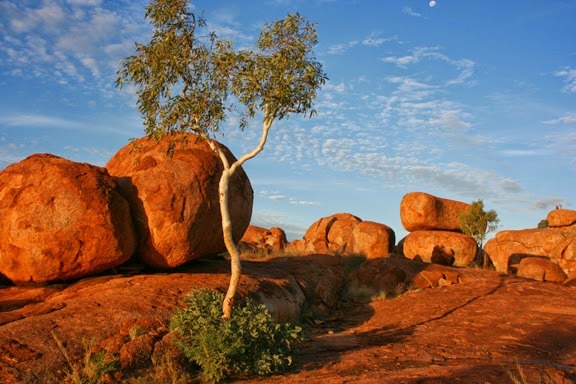 Devils Marbles, Northern Territory - Camping the night surrounded by the huge boulders of Devils Marbles was quite an experience I will never forget. There was such a spiritual feeling in this part of the world. Walking around the rocks at sunset and especially sunrise was one of the most peaceful experiences I have ever felt. 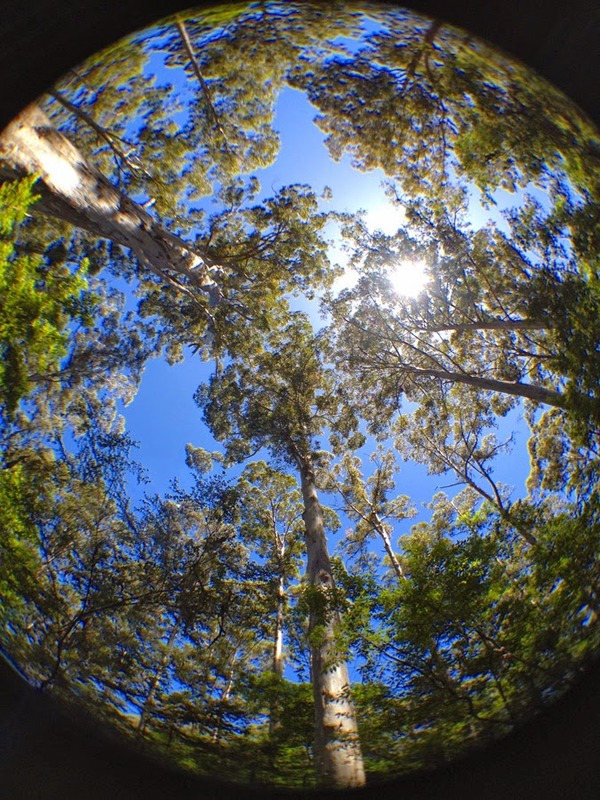 Pemberton, Western Australia – Driving amongst the huge trees of the Great South West Forest was amazing. These huge trees were like something out of “Lord of the Rings”. I could just imagine them coming to life each night and having a meeting of the ages. 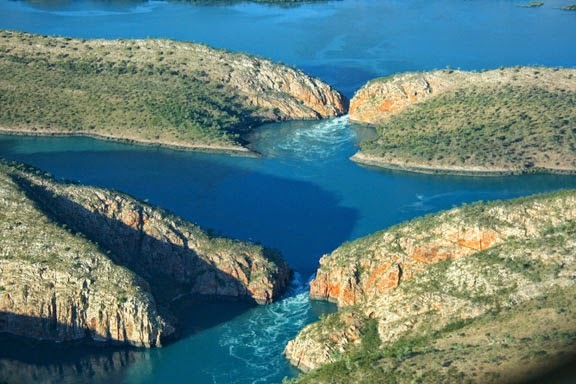 Horizontal Waterfalls, Western Australia – As I wrote after this most amazing day, it has definitely been one of the highlights of this adventure. It is something I have wanted to do since I was 19 and at 60 I finally did it. I can’t really put into words the feelings I felt during this spectacular tour. 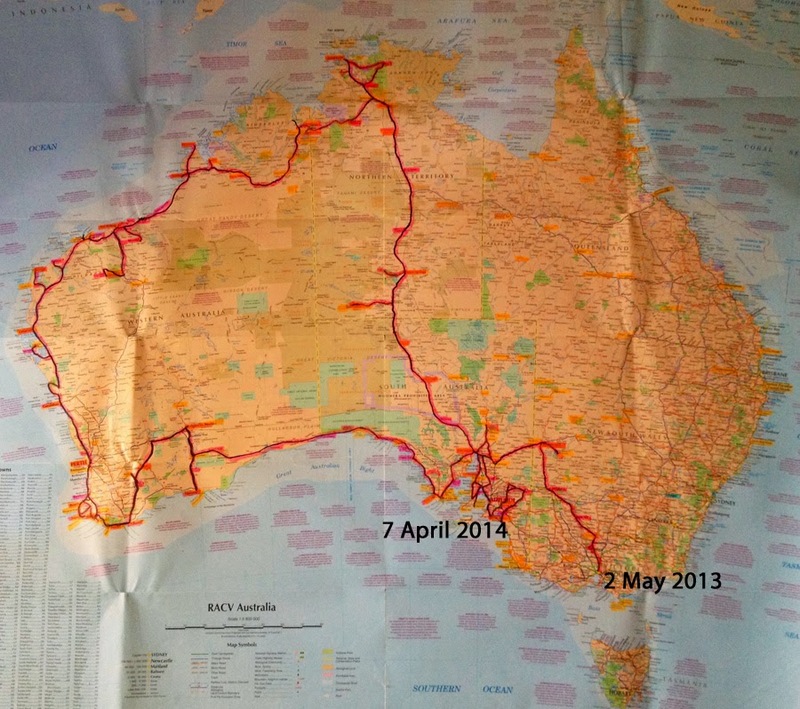 In my life so far I have travelled to a lot of amazing places outside Australia and loved each and every one of them and there are still some I really want to visit. But right now – Where would I rather be? Nowhere other than where I am, in the most amazing country on this planet, Australia.